Check out these specials or call for last minute vacation deals! VILL347 - SUMMER DISCOUNT SPECIAL - 10% FOR STAYS THROUGH OCTOBER 31!!! Monterey Country Club, 2BDRM/2BA, REDUCED!!! Summer Discount - 10% off for stays through October 31!! Please call our office at (760) 324-3456 to take advantage of this special offer. Click to view VILL347. ALP127 - 20% OFF for the month of November 2018!!! 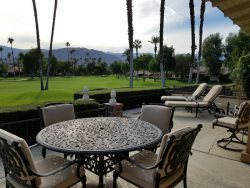 Rancho Las Palmas Country Club, 3BDRM/2BA, REDUCED!!! 20% OFF for the month of November 2018! Please call our office at (760) 324-3456 to take advantage of this special offer. Click to view ALP127.